My nephew, Alexander, recently came out to Australia from England and stayed with my family for a few days. It is always wonderful to see family you haven’t seen in a while and we had a great time catching up on each other’s lives. Alexander shared one particular anecdote with me that I think offers a simple lesson for us all. Alexander was recently taking an Uber ride in his hometown London when he noticed the driver getting agitated. At first, Alexander was not sure what was wrong with the driver. As the driver became more and more agitated and his driving got increasingly erratic, Alexander intuited that he himself was the cause of the driver’s agitation. After a moment of reflection, he realised that he was sitting with his legs crossed and the sole of his boot was facing the driver. Alexander immediately corrected his posture and checked his assumption by asking the driver if his foot was causing him offence. The driver replied yes and Alexander quickly apologised. After accepting the apology, the Uber driver was able to relax again and the rest of the ride was without incident. You may have guessed that the Uber driver in this incident was Thai. In many cultures, including in Thailand, directly the sole of one’s foot at someone is a sign of disrespect. This story illustrates the simple yet important value of trusting your intuition. Being aware of your circumstances and maintaining a radar for behaviour outside of the norm is a crucial aspect of cultural intelligence. In an increasingly digital world, our individual awareness and attention are being constantly pulled away from reality and into our screens. In the situation above, it would have been easy for Alexander to simply ignore the Uber driver and escape into his phone. Instead he chose to trust his intuition. To trust your intuition is not to instinctively act on a gut feeling. It is rather, to paraphrase Gary Klein (senior scientist at MacroCognition), taking your gut feeling as an important data point, and then consciously and deliberately evaluating it to see if it makes sense within the context of the situation. Paying attention to your intuition and doing something about it is not always easy. There are many reasons, cultural and otherwise, why we often fail to listen to our gut or evaluate it correctly. Intuition reflects our implicit learning, sensitivity and feelings. It is a ‘skill’ we develop and refine over time through our interactions with other people. Trusting your intuition is not only valuable in everyday situations like Alexander’s story, it is equally valued in the world of business and a common trait of most successful leaders. Recently, Tom took part in his first ever live Twitter Q&A! The session explored the question - How does your culture influence your story, and was hosted by The Story Conference. It was an exciting experience and the discussion touched on many significant themes. You can check out the full conservation here if you are interested. I run a local team in Indonesia and am having problems getting feedback in meetings. What can I do differently to help address this issue? When English is not someone’s first language it is often difficult for him or her to speak up. Group-orientated cultures generally find it difficult / challenging to speak up to a superior. Indonesia is certainly a group-orientated culture. With these points in mind, one workable solution is to break the team into smaller groups of three or four people. Ask each group to discuss a specific question and present back to the whole team. This scenario attempts to play into the culture’s collectivism norms and eliminate individuality, as the person presenting is speaking on behalf of their group. This group approach also helps to reduce the aspect of shame if a person presents incorrect information. By aligning your leadership approach to local cultural values and behaviours, you should start to elicit honest and valuable feedback from your team. If you have a question or topic you would like to ask or see us cover please do get in touch with us directly. Also, please do keep the feedback coming. We are constantly thinking about how we can improve this newsletter, so all feedback – good and bad – is welcome. What Is Cultural Intelligence And Why Is It Important? Dr. Brené Brown is a research professor at the University of Houston Graduate College of Social Work. She has spent the past thirteen years studying vulnerability, courage, worthiness, and shame. Brené’s 2010 TEDx Houston talk, The Power of Vulnerability, is one of the top five most viewed TED talks in the world, with over 25 million viewers. The idea of vulnerability, of being vulnerable, is bound up in a cultural myth that it is simply a sign of weakness. In this book, Dr. Brené Brown draws on her dozen plus years of research studying the concepts of shame, weakness and vulnerability to attempt to illustrate how vulnerability is rather the crux of most of our meaningful experiences. 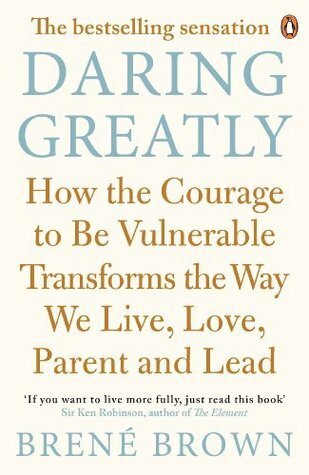 Dr Brown explains how vulnerability is both the core of difficult emotions like fear, grief, and disappointment and also the birthplace of love, belonging, joy, empathy, innovation, and creativity. She posits that we must seek to embrace vulnerability in our lives in order to become engaged, gain a sense of courage, and create meaningful connections with the people around us. Dr Brown uses unguarded, personal anecdotes and stories from her impressive research to provide an absorbing narrative that delivers practical tips and advice that are applicable to many facets of our everyday lives - our organizations, our families, our schools, and our communities.